Simon O’Carrigan is an illustrator from Melbourne, known for his loose and confident artwork that hums with energy and movement. Simon works with many mediums but ink is his enduring favourite. In 2017 he undertook an ASA Award Mentorship, with Sue deGennaro. A graduate of the Victorian College of the Arts, he has a decade-long exhibition history. 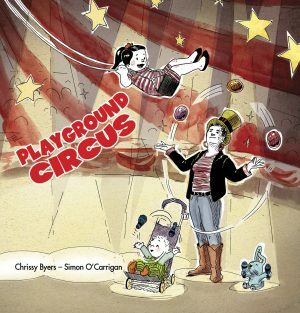 Playground Circus will be his first illustrated picture book.